As we noted in part 1 of this series, Lou is a very down to earth, grounded fun-loving man with a heart of gold and you will feel his energy as you read each and every page of the life of such a dynamic man! His book, An Actor And A Gentleman has quickly become what we call a 1% read. All of the very best books we have ever read fall into a 1% must read category and Lou’s book is sits squarely in that 1% club. What makes this book so compelling is that Louis has high emotional intelligence, pure authenticity and love of self and mankind shines through. He truly wants to see the planet evolve in the area of universal relationships. 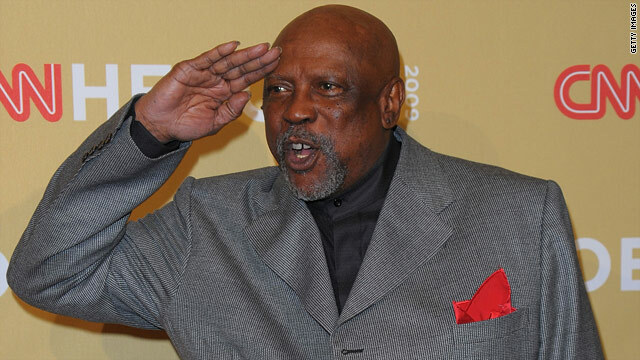 When Louis Gossett Jr. traveled to Hollywood at age 25 to make the movie Raisin in the Sun following critical acclaimed Broadway version, he met with a number of challenges and injustice by the local police department. He tells a compelling story regarding a number of incidents he encountered during the very first phases of his California adventure into Hollywood. I will leave it to the Lou himself to tell the story as he does it so eloquently in his book. I encourage you to pick up this book as you will not be able to put it down as you learn how his amazing character is tested and grows through each riveting life challenge. Think of your top 3 most recent life challenges or trouble spots and how much time you spent thinking or worrying about the thing that has just derailed you! Now go back and think about what you plan to do about what has just happens versus spending important brain bandwidth on the problem, you start focusing on the best options and solution based thinking. Many folks that we deal with in our personal and professional success coaching or keynotes and training programs from the platform find themselves stuck in or on the problem. We help them get unstuck by changing the paradigm of the matter and focus on what they do have to help embark upon solution based thinking rather than focusing on what they do not have! Louis Gossett Jr. is one of those rare personalities that places his focus regarding the many life challenges he has faced on gifts he has to resolve them. He lives by the Marcus Aurelius quote above and shifts his mental gears to let his mind run on what he has and how to gain more intelligence toward solution based thinking! You may discover more of his sage advice and universal wisdom on a radio program where we featured Lou as our guest. Please click play button below to hear the full interview on demand. Once on our radio page, please scroll your screen to see the first choice line up of radio program offering at Let’s Jesstalk Radio and you will see the Louis Gossett Jr. radio interview in the top row. Please stay tuned for part 3 of this 3 part series and incredible life changing stories shared by Lou in his first class book An An Actor And A Gentleman.